Awhile back I wrote Part 1 of a series on easy curry dishes you can make at home, and I'm finally returning back with the next post, featuring one of my favorites - Thai Red Curry. In Part 1, I gave a few examples of what constitutes basic curry dishes and a general outline of how they can be prepared in simple, straightforward recipes. 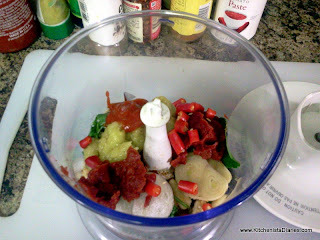 The base of each curry dish is always the spice mix or prepared curry paste use to season the food and/or make a sauce. 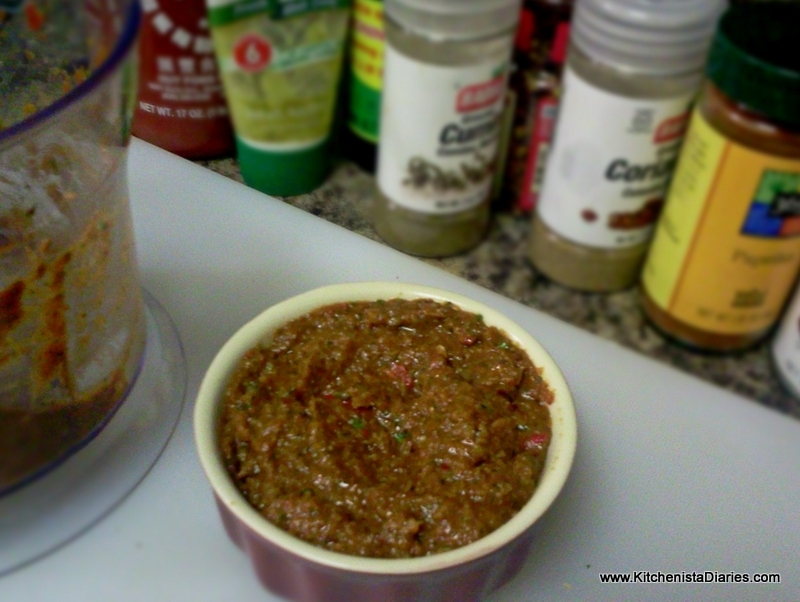 Thai Red Curry paste uses red chilies and a host of other spices and herbs common to Thai cooking. It's an amazing blend of flavors that takes you on a journey from the heat of the chilies to the aromatic garlic & ginger, tangy lime, bright cilantro and saltiness of soy and fish sauce. Also, staying true to my goal to cook using healthy foods, this curry paste is packed with cancer-fighting, anti-aging and anti-inflammatory healing herbs and spices, not to mention the delicious veggies you'll add to whatever you include in your curry dish! The ingredient list might scare you, but it's really as simple as throwing everything in a food processor or blender. Yes, it's relatively easy to pick up a bottle of curry paste at the store, but where's the fun in that? Once I realized how easy it was to do this at home I was hooked. Unlike buying a prepared paste, this is something you can make as spicy or mild as you like, adjust the salt level, veganize it or whatever else your heart desires. 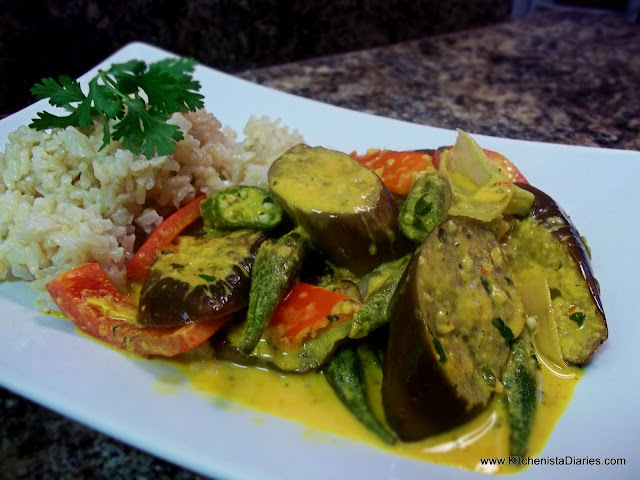 Granted it's not quite an "authentic" Thai curry paste as there are a couple ingredients not easy to come by unless you're shopping at Asian grocers, but it's close, and easy to adapt to personal tastes. One recipe makes about a half cup of red curry paste, which is plenty to use for 2 or 3 dishes if not more. A couple tablespoons goes a long way and becomes an awesome base whether adding tomato sauce, broth, coconut milk, or even peanut butter to create a rich, intricately flavored sauce. 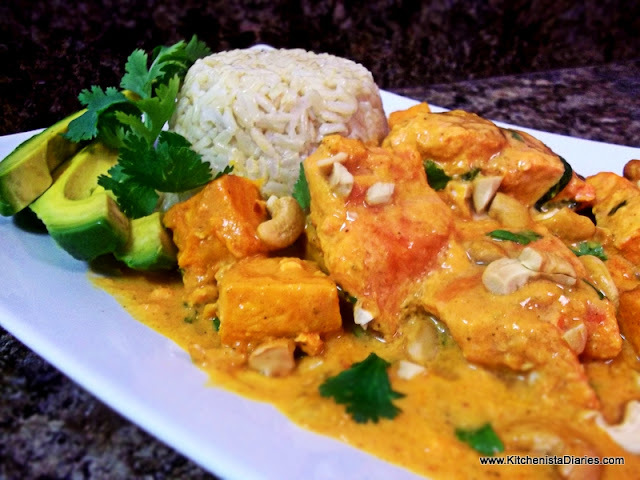 As you might have noticed, I'm partial to coconut milk and lots of spices, so this has always been dear to my heart to incorporate the ingredients I love. 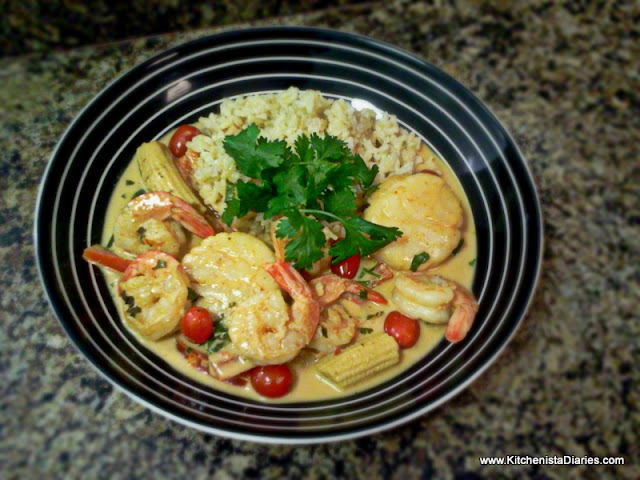 Try it and have fun experimenting to make your own signature red curry dishes! Servings: Makes about 1/2 cup. Most recipes call for a couple tablespoons at a time, so it will last for several dishes. Gather all ingredients. The biggest thing I want to stress here is that I have successfully made slightly different versions of this each time depending on ingredients I had on hand. It's almost impossible to screw up. Don't stress about measurements too much, just start with the basic proportions above and adjust to your tastes. Combine all ingredients in your food processor or blender. 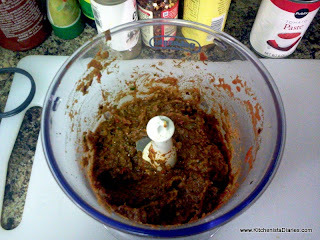 Process until all ingredients are well blended and a thick paste forms. Store in a covered container in the refrigerator. 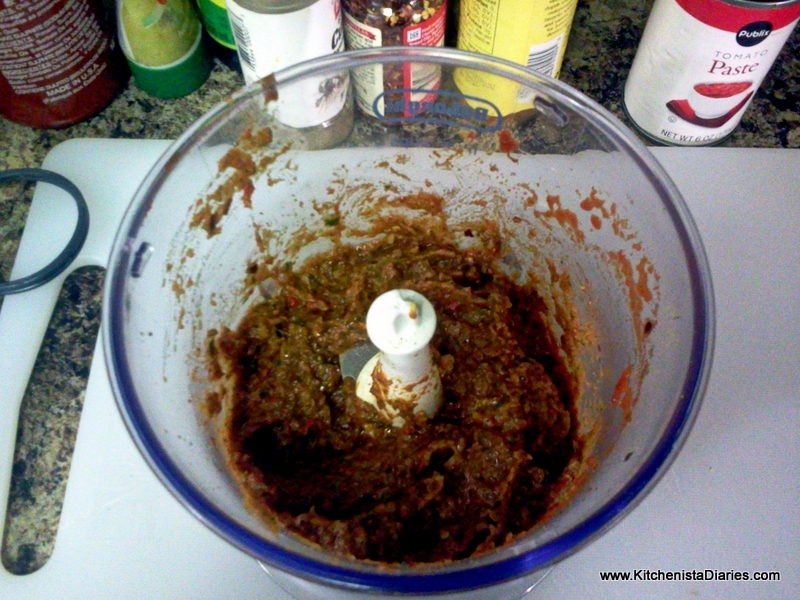 The curry paste will last a few weeks, probably longer but it gets used up quickly in my kitchen! 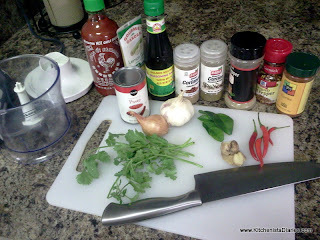 Stay tuned for the next post in this series using the Thai Red Curry paste to create some fantastic dishes!